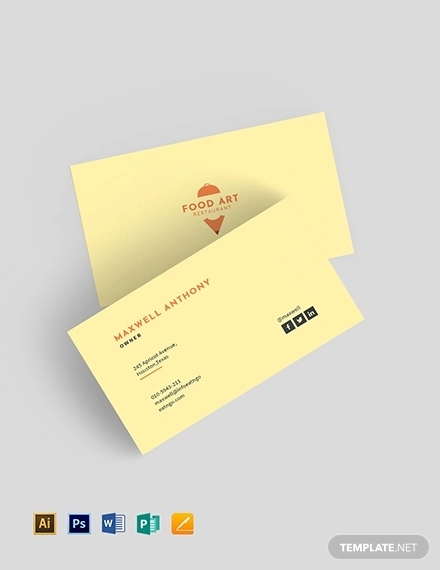 Business cards, with its compact medium, incorporates important information that pertains to business transactions as well as direct communication towards the recipient and the brand itself. 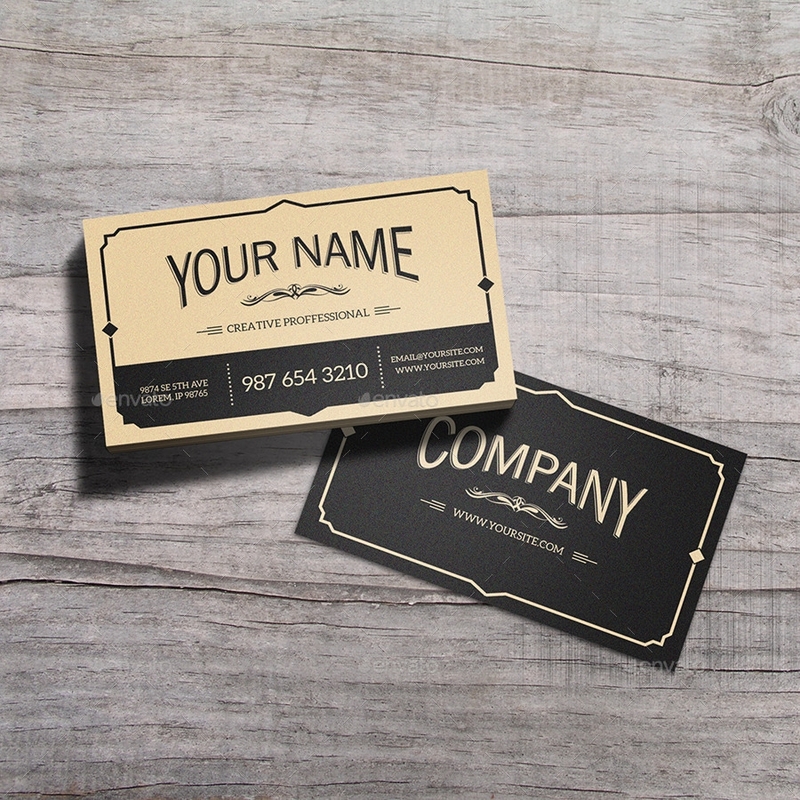 Aside from its practical utilization, business cards are also another visual representation of a brand. 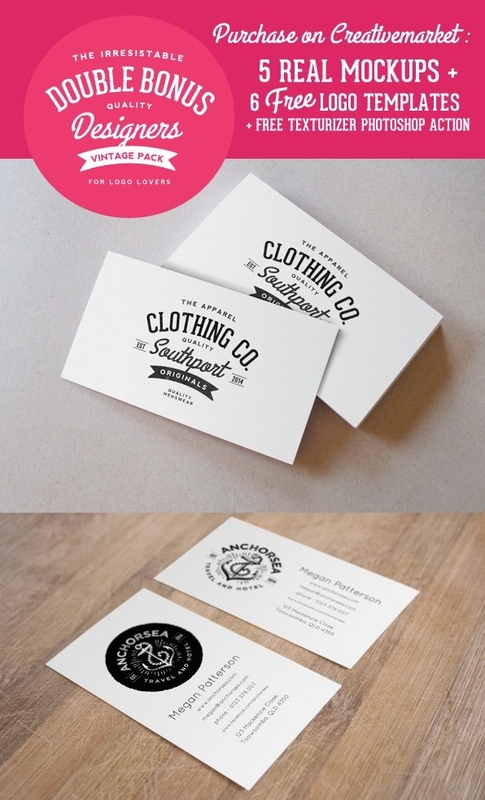 What the brand is all about is well translated onto this branding collateral. 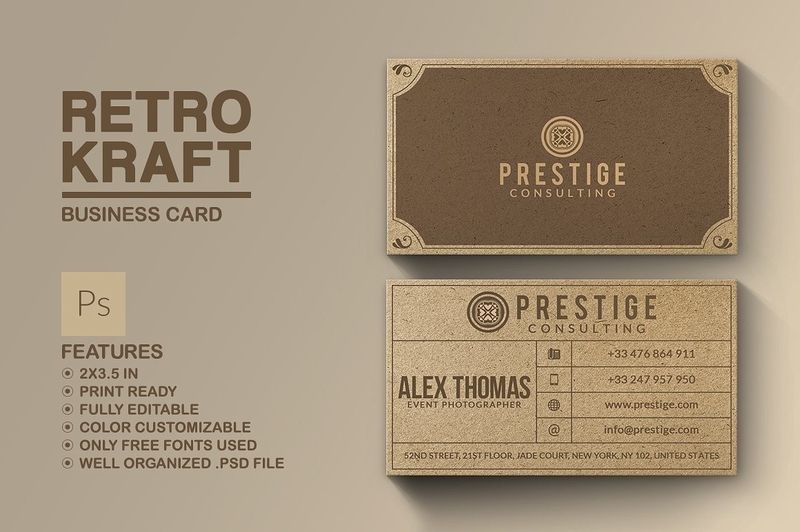 In this case, brands that specialize in a classic type of product, service or presents itself in such a manner must invest or craft a business card that best demonstrates their vision and overall personality. 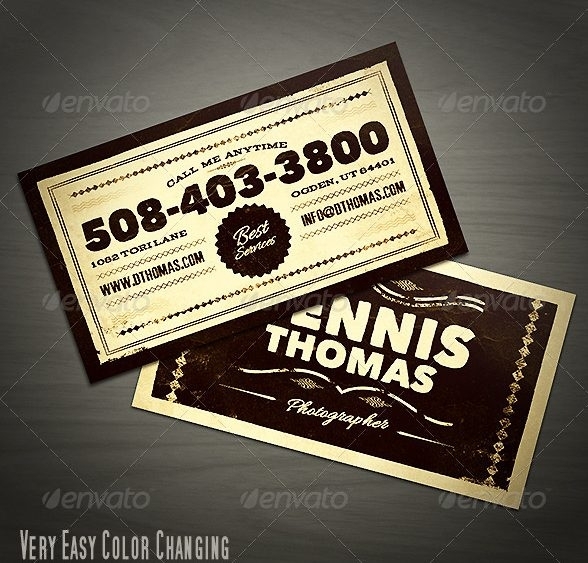 In our list down below, we have gathered fifteen best business card designs all of which are treated in a vintage design style. All of which are provided in a downloadable format. 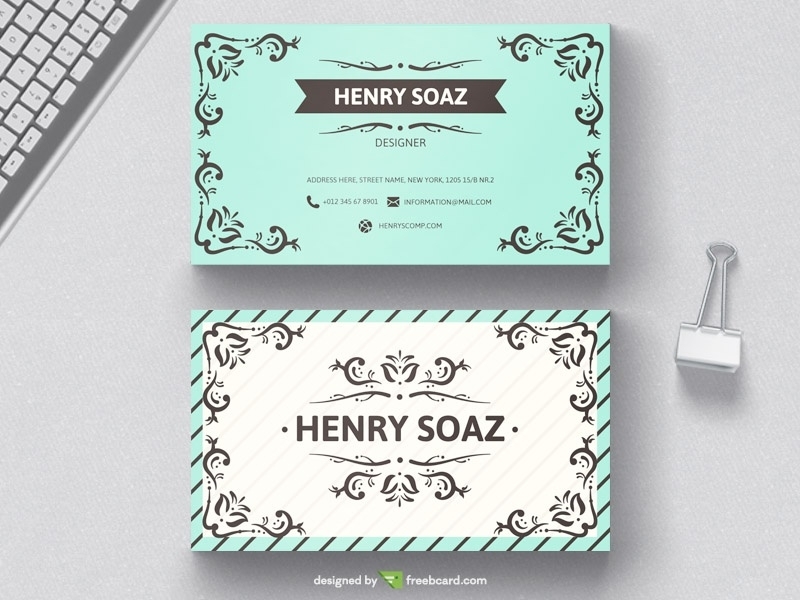 If you are considering in crafting your own personal branding and business card, you might want to check out our guide and samples on unique business card designs and ideas. 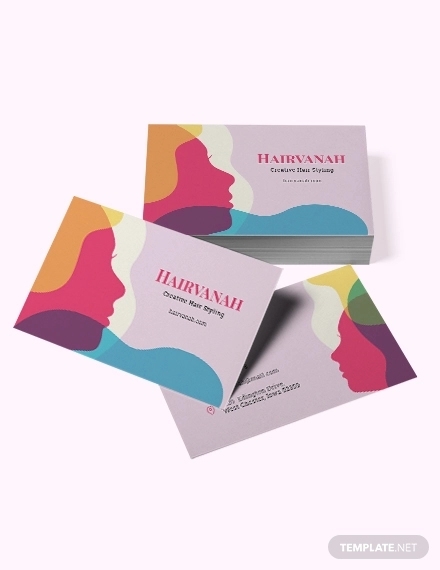 It dwells on the technical and design process of crafting such branding collateral as well as showcase special business card designs to inspire your creative eye. The Beauty of the Vintage Design Style. With an array of modern designs styles, many of us still tend to romanticise the past. The application of vintage design style on modern and current design projects brings us back to a more manual typographical technique. As well as a visual demonstration of the centuries past zeitgeists. The allure that the vintage design style has is its inconsistencies brought about by an earlier unrefined printing process as well as human error. It is given credit that despite its lack of refinement with the equipment they used for producing such appearance, the designs are produced with delicate features, fine design elements, and a cohesive design concept. This fascination for the vintage design style has seen its implementation on current design projects. Whether it be a combination of vintage and modern design styles in a design concept or the flip side. Such design style transcends time as well as seamlessly pairing new and untapped design styles. You may also skim through our list of vintage postcards and textures. The Design elements that produces a Vintage Design Style. The impact on the first contributions in typography such as block printing, the Gutenberg press, and hand-painted signs paved way to the comforts of modern technology as well as new design styles. The use of typography incorporated on vintage designs consists of delicateness and demonstrates the beauty of hand-written techniques onto the application of typographical equipment. As well vintage designs also dabble in serif fonts and pairing such delicate font or types with a non-cursive typographical element. For a more extensive typography selection, you may freely download our samples of free vintage fonts. The prominence of intricate borders and frames. The use of borders allows technical and design elements to be enclosed in an aesthetically pleasing way. As well as they complete and create a cohesive overall design. If you are on the hunt for vintage design elements, then look no further. We have gathered a collection of vintage borders and frames all of which will be of great help for design projects and be utilized for future design references and resources. Delicate Use of background designs. 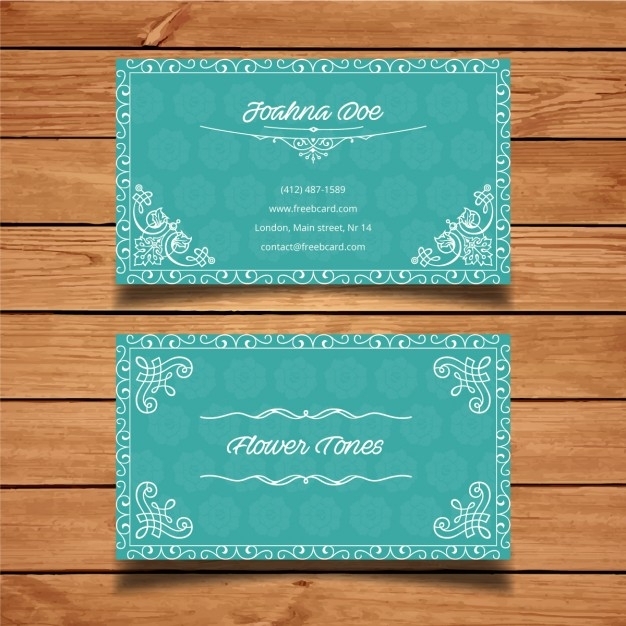 Backgrounds used in vintage designs are mostly intricate and is set in floral styles that are clustered to form patterns. The latter brings in class and a luxurious exterior which these vintage designs bring about. Emblems are widely used for icons or logos. It encloses the details or technical elements within its space thus creating a direct direction once viewed or when skimming through. 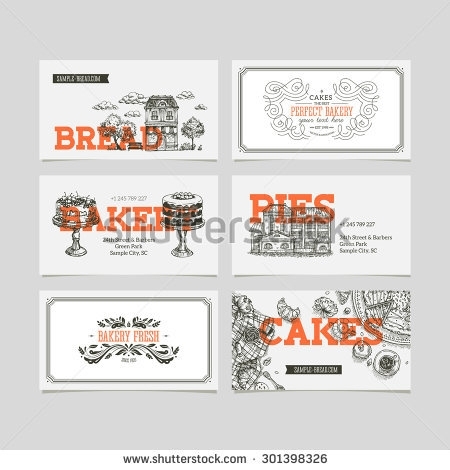 The Selection of Vintage Business Cards. 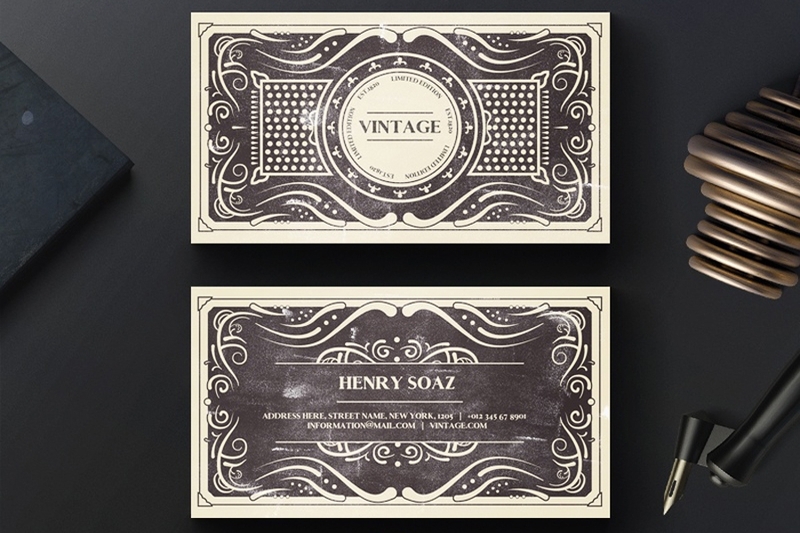 To help you get by in your search for vintage business cards, we have summed up a couple of designs that will be of great help in completing your brand identity and references for design. 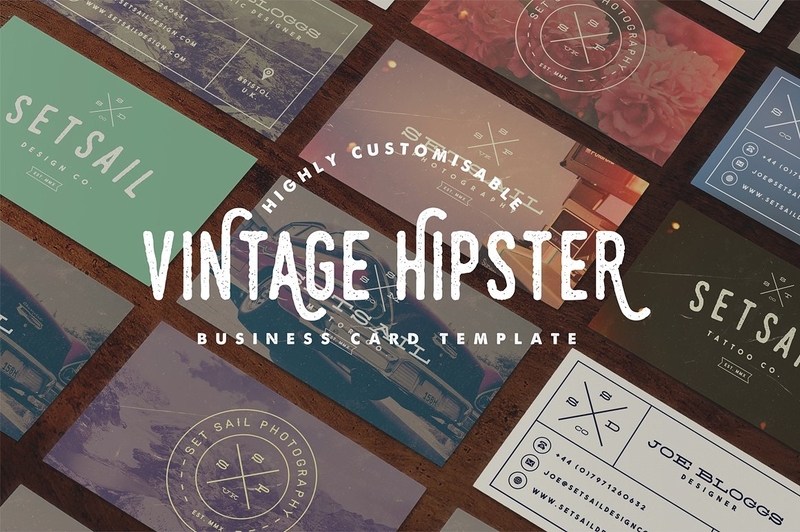 If you solely would love to incorporate a dominant use of typography for your business card design, the Business Card Mockup & Vintage Logo Design is a great option to consider. 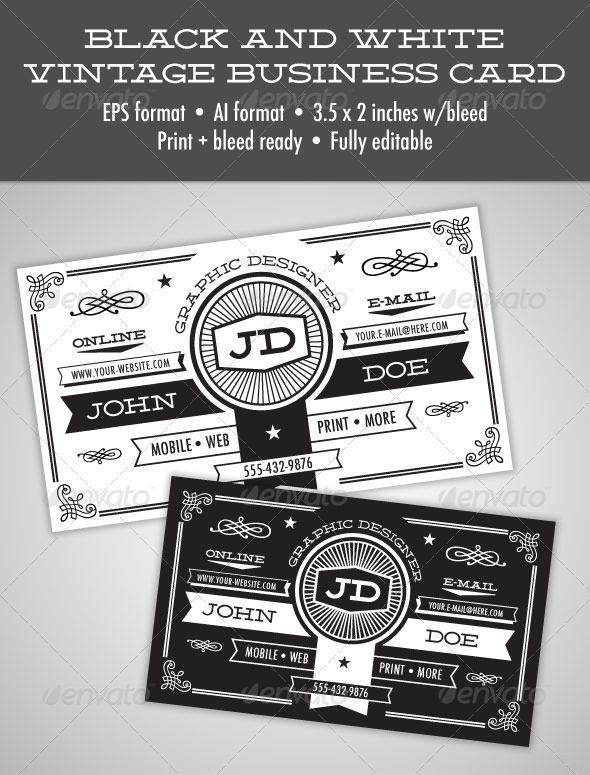 This set comes along with six free logo templates for an extensive design utilization. 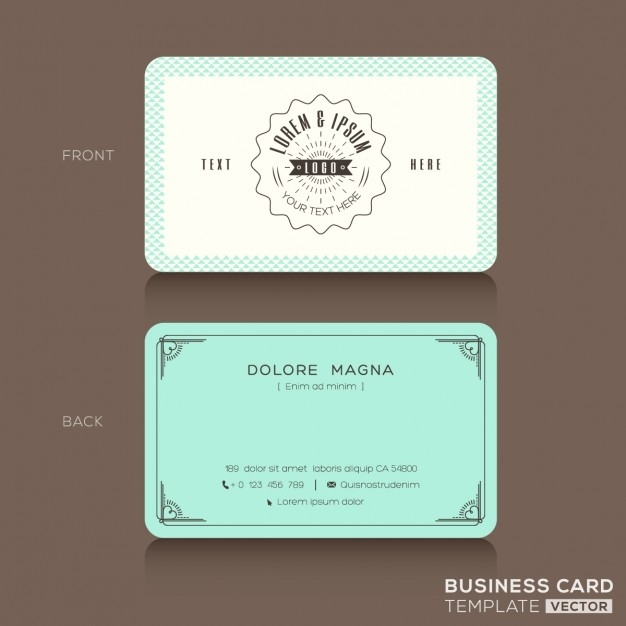 For a business card design that brings about a pop of color, the Fine Outlines on Vintage Business Card in White and Turquoise color is provided in a downloadable format and is up for grabs. 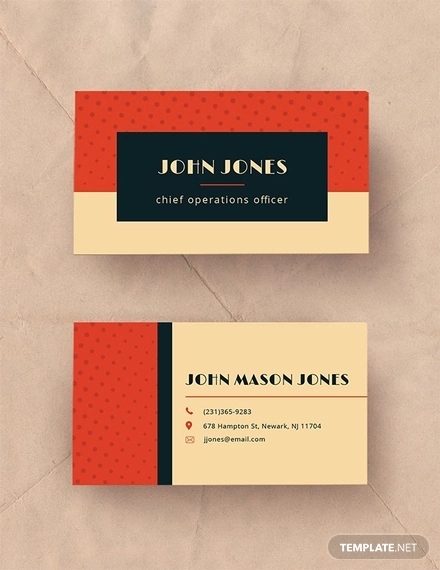 The front exterior of this specific business card displays the logo with the use of emblems. As well as for the overall design, the pages are set in two design variations allowing more personality and character shine through the branding collateral. 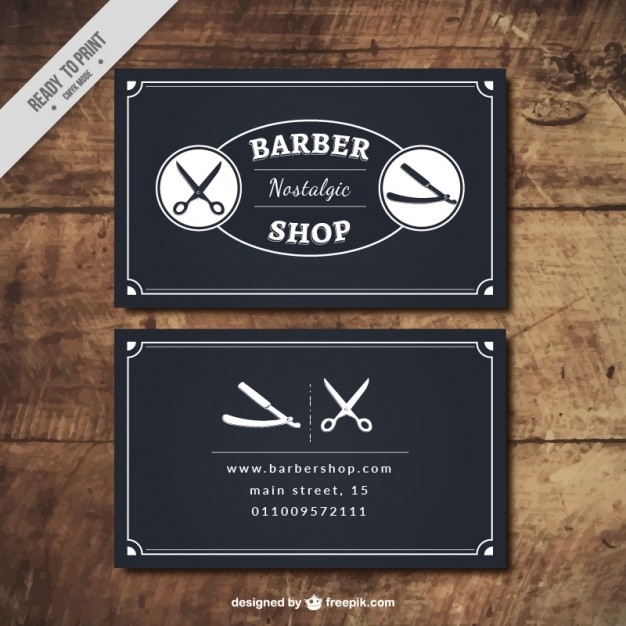 Next on our list is the Retro Barber Shop Business Card Design in the Color Black. 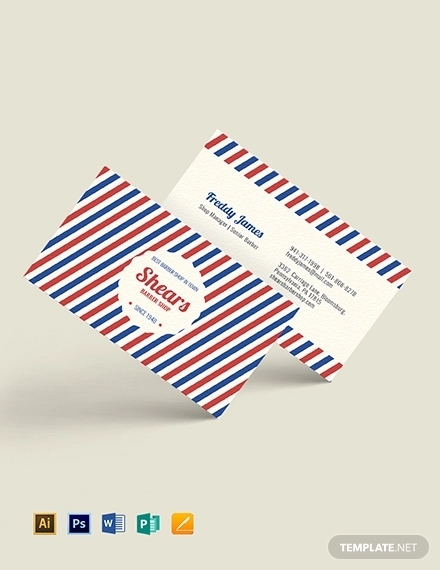 This specific business card design can be perfectly used for brands that are of a mix of modern and vintage or retro characteristics. 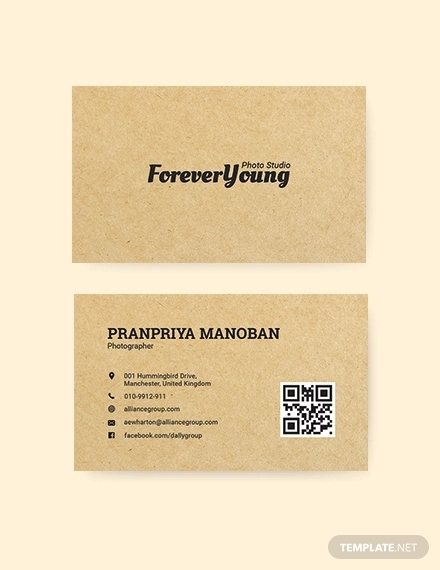 On the technical side, this retro business card design is set in a CMYK color mode and is ready to print. 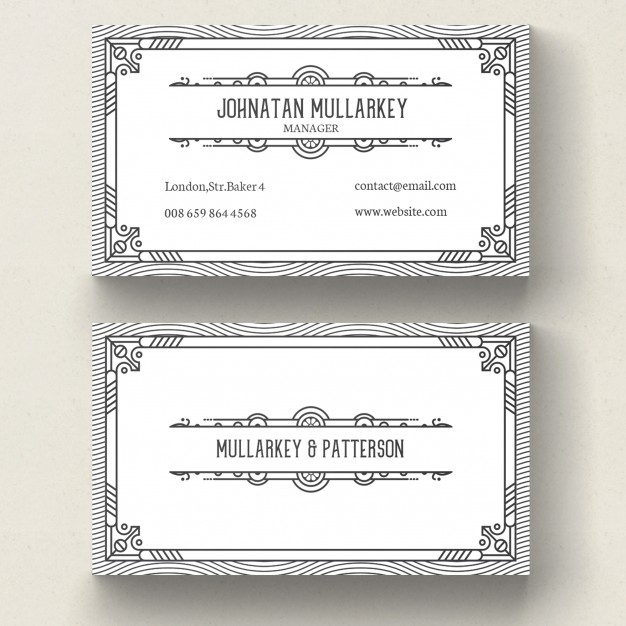 If you are looking for designs that incorporate organic lines and intricate shapes, then the Business Card in an Art Deco Design Style might be for you. The technical elements re enclosed in an art deco inspired borders as well as surrounded by lines that demonstrates fluidity and constant movement. The design gives a minimal placement for its layout, thus giving a quiet space for the technical elements. Before we call it a day, we have one more design samples we’re glad to share with you. We have gathered more business card designs for architects and architectural firms. 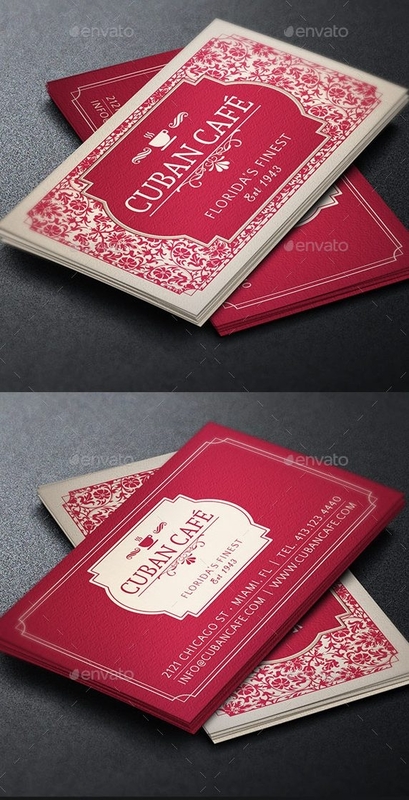 You may also utilize these samples for design projects be it branding, design presentations and so on. More importantly, you may use these samples for future references and resources.